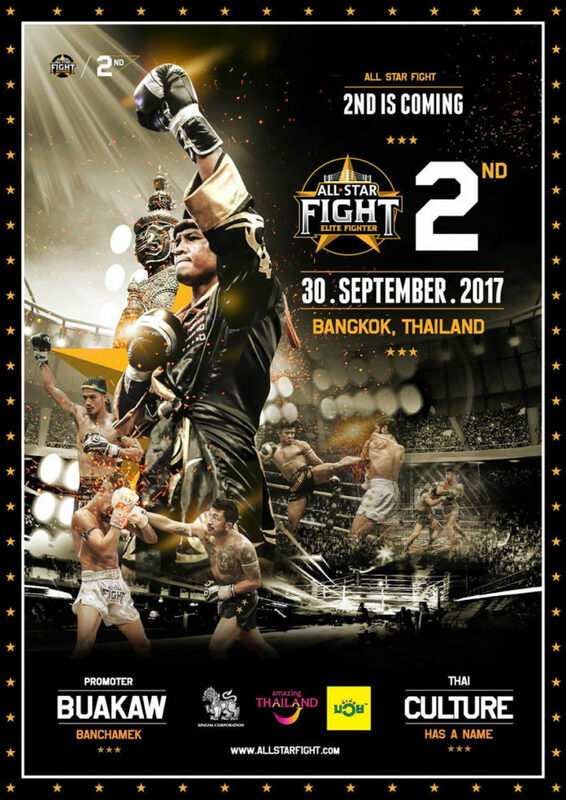 Muay Thai promotion All Star Fight 2 is held on Saturday September 30 in Bangkok, Thailand. The happening follows the inaugural event presented at Workdpoint Entertainment Studio last Sunday August 20. The televised show produced nine international bouts. Famed Buakaw Banchamek (230-23-12, 69 KO) battled out on the top of the bill, scoring a quick first-round knockout victory with left hook against French Azize Hlali. No bouts for the upcoming show have been formally announced to date. Several prominent representatives of Banchamek Gym, such as Superbon Banchamek and Sammy Banchamek, are presumed to take part in the event. It is however unclear whether Buakaw himself will fight at the show. His next bout has been previously announced in the headliner of Kunlun Fight Paris, where the organization is expected to make its French debut on November 11. Since last December Buakaw is riding a four-fight winning streak with the victories claimed against Belarusian Andrei Kulebin, Chinese Tian Xin and Kong Lingfeng, and the most recent Azize Hlali of France. The name of his next opponent is yet to be known. “All Star Fight 2, September 30, Bangkok. Hang yourself, the first filled you up the second will frighten you,” says the tagline captioning the All Star Fight 2 poster shared on Facebook this week. We will have more information as soon as it becomes available.